As a volunteer you can share your ideas, knowledge, talent and skills with Inachis and Italian national Parks, for the future of the nature! 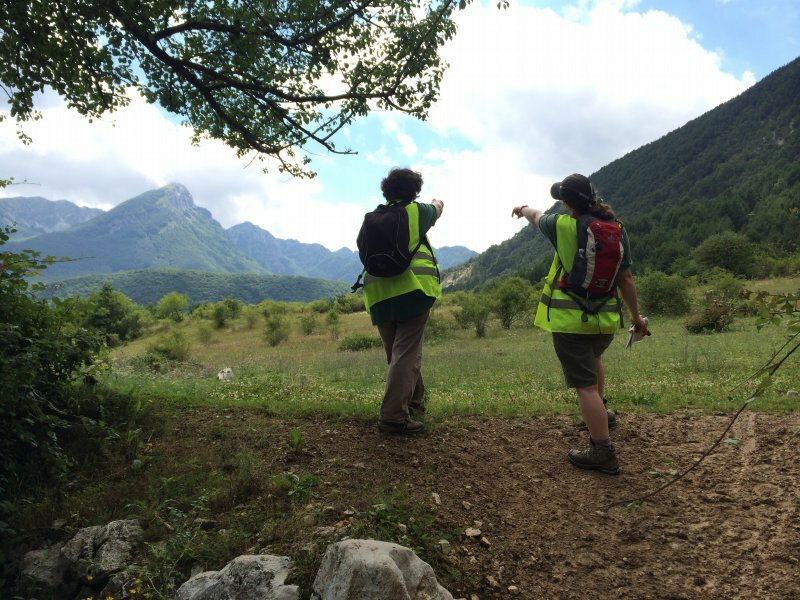 Inachis organizes conservation holidays for volunteers in Abruzzo, Lazio and Molise National Park and in Val Grande National Park. 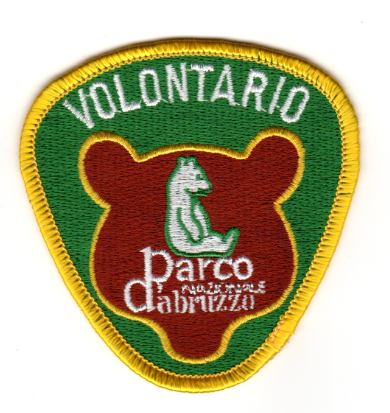 Abruzzo, Lazio and Molise National Park is one of the ancient italian parks and it has got more than 90 years of experience in wildlife management. Val Grande National Park is a younger park, but it is considered the widest wilderness area in Italy. Inachis volunteering activities are conservation holidays that bring the participant to know the territory, the nature, local communities and history of the Parks where volunteers work. 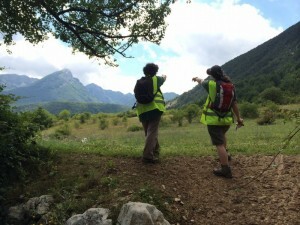 Inachis conservation holidays consist in helping the park in the wildlife management and local communities: maintenance of trails, control on the trails and assisitance to tourism and in visitor centres. Inachis has also adopted a fruit garden established to give a feeding point to Brown Marsican Bear (in Abruzzo, Lazio and Molise National Park): volunteers also work in this place cutting grass, caring for plants, maintaining the fence, ecc. Inachis manages, together with its volunteers, tourist office and infopoint “transhumance museum”, in agreement with Civitella Alfedena municipality. Other activities depend on the needs of the moment. Inachis conservation holidays mean not only voluntary work, but also knowledge of the territory, of the nature and the dynamics that live in it, and contact with the local communities. Different kind of activities are carried forward in agreement with the Park institutions. In July and in August it is possible to participate for weekends and periods of 4 days (3 nights), 7 days (6 nights), 10 days (9 nights), 14 days (13 nights), 20 days (19 nights) or more. It is possible to choose the date of start and the date of end of the period, and the participation will be confirmed depending on the availability of place in Inachis structure. In august, it is not possible to participitate to “weekends”. For groups of friends, it is also possible to agree for different dates and periods. In Inachis house, in Civitella Alfedena, a little town situated in the heart of the park. In the house there are bunk beds, kitchen, toilet and living room with fireplace. There’s also the possibility to choose a more comfortable accomodation, in hotel situated next to Inachis house, having full board or using it only for the night. The participant is asked to pay a small participation fee needed to help Inachis to cover the expenses for the house rental and management. 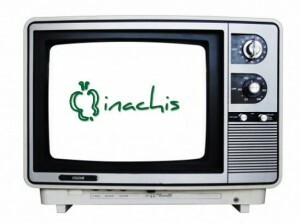 To take part to the activities, is needed to be Inachis volunteer: if you’re not Inachis volunteer yet, you have to add 8 EUR for Inachis member card and insurance, that will be valid for 12 months from the date of issue. Each volunteer, at the arrival in Inachis house, will put a contribution inside the common fund of the group used to buy food. In the case that the participant prefers accomodation in hotel, please dont’ consider the fees above but contact us and we will arrange everything together. To take part to the activity, download, fill and send the form below to info@inachis.org. In Cicogna, a little town where only about 10 people leave during the year, situated in the heart of the park. In the house there are bunk beds, kitchen, toilet and living room. 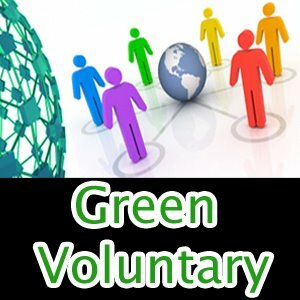 The participant is asked to pay a small participation fee needed to help Inachis to cover activities organization and management and expenses for materials and tools. The fee for a period of 7 days (6 nights) is 65 EUR. For the participation to 2 periods, the fee is 120 EUR.